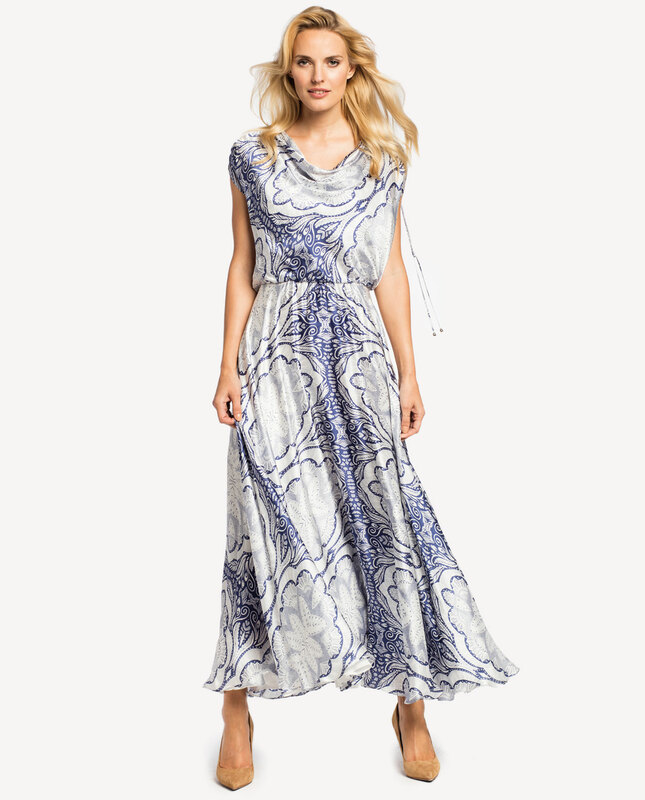 Dashing airy dress featuring ornamental prints. A boho maxi style is genuinely feminine and sensuous. 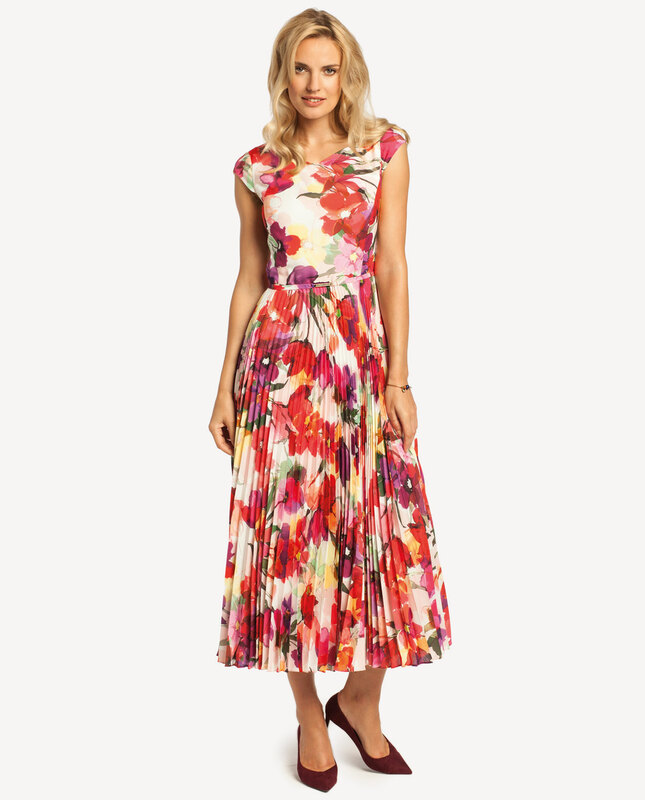 Classic and versatile, the dress will be perfect for a number of events. For an evening out, pair it with subtle heeled metallic pumps which will help to elongate your frame. A lovely drapery around the neck will draw attention to your sun-kissed skin. There are decorative drawstrings on each shoulder. Stretch waist will accentuate your waistline and create the desired hourglass shape. A maxi dress is an absolute must-have in your wardrobe this season. Neatly hemmed at the bottom, it will look gorgeous when set in motion. Lined, comfortable to wear.